Putting together this outfit made me feel like a little girl again, playing in my mom’s closet, but in the best way possible! I’d really wanted these little oxford booties, but all the ones I really liked were out of my price range. Then, I stumbled across these randomly in a Plato’s Closet, and they were my size and only $8! I mean, what are the chances?! 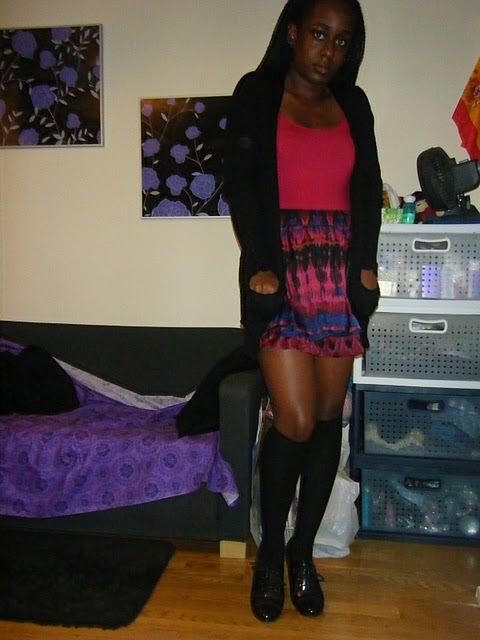 I was in a girly girl mood, so I added the knee-high socks and flouncy, colorful skirt for a slightly dressy causal outfit that I wore to a going-away party. Can I just reiterate how excited I am to wear my Halloween costume?! Since I wasn’t allowed to celebrate Halloween growing up (the first time I was able to dress up was my freshman year in college) I really like to go all out! Also, for a while I was really unexcited about my costume, which was bumming me out, but once I decided to sew part of the costume myself, I was able to bring my vision to life. What I especially love about Halloween here at school is that there are several days of parties and activities! Things kicked off yesterday and will continue up through Sunday. I’m especially looking forward to Saturday, when most of the parties and “trick-or-treating’ ;) happens, and also Sunday, for the annual YSO show that’s performed. So it will be a busy and fun weekend :) What plans do you guys have for Halloween? 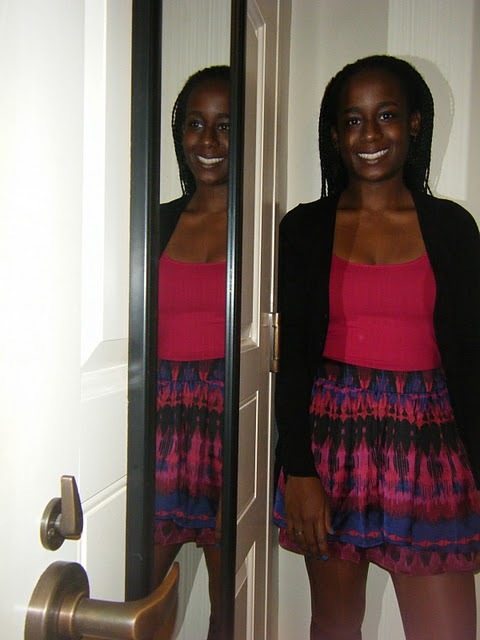 I love sweater dresses!! They make it so easy to throw together a cute outfit and I buy at least 2 or 3 every fall/winter! This particular one is one of my favorites because of it’s subtle blue/gray color. Toss on some boots and voilà, I’m dressed! 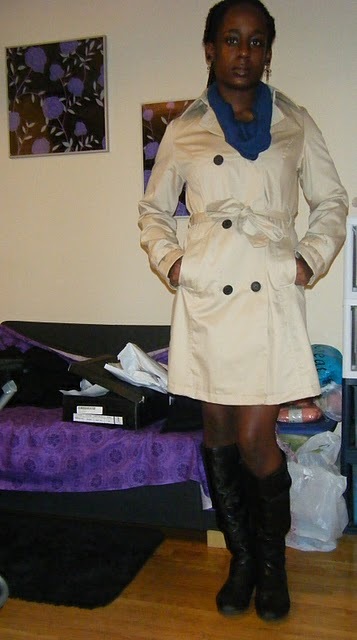 Also, threw on my new trench because it was raining and I’m loving this classic addition to my wardrobe. My post is so late today because I spent most of the evening working on my costume. I’m happy to report that it’s pretty much done! I finished sewing the circle skirt (using this tutorial), which was fairly easy, except when my old sewing machine was being finicky, and decorating the other elements involved. You’ll get to see the full outfit sometime this weekend ;) Hope you’re having fun with your Halloween preparations! Why has this song been stuck in my head for the past two weeks?? Also, promise there will be an outfit post tomorrow (and maybe a food one too?)!! 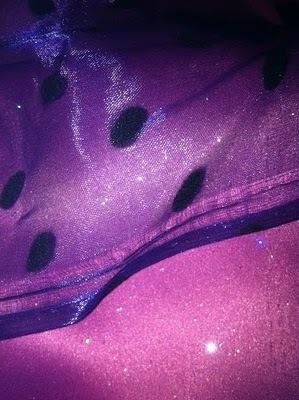 Here’s a sneak peek of what the skirt for my Halloween costume is going to look like! Now I have all the elements, I just have to assemble them (yay Joann’s!). This is going to involve some sewing, which I’m no expert at, so wish me luck!